With its potentially overripe premise—a Seattle massage therapist finds herself repelled by contact with human skin, while her dentist brother discovers a talent for healing patients with only touch—Touchy Feely is best approached as a kind of modern, magic-realist fable. Writer/director Lynn Shelton, a Seattle filmmaker whose talents have graced such films as Your Sister's Sister and TV shows like Mad Men and New Girl, seems aware of the potential for heavyhandedness and treats her characters with a playfulness and generosity that keep the film from getting bogged down in pretension. I certainly didn't expect it to be so funny (it's listed as a drama), although its humor is of the quirky, slow-burn variety that doesn't always call attention to itself. Much of my own amusement came from Josh Pais' painfully repressed dentist, Paul, who is so clearly uncomfortable in his own skin that even when he finds a measure of contentment it's with a wary distrust of the universe. His social awkwardness makes you squirm even as you laugh in recognition at every subtle twitch and pained smile. He may be a middle-aged dad who interacts with patients on a daily basis, but the man has never learned to be at ease with others. That's in contrast to sister Abby (Rosemarie DeWitt), who as a massage therapist and devotee of alternative medicine seems far more empathetic and comfortable around her fellow humans. 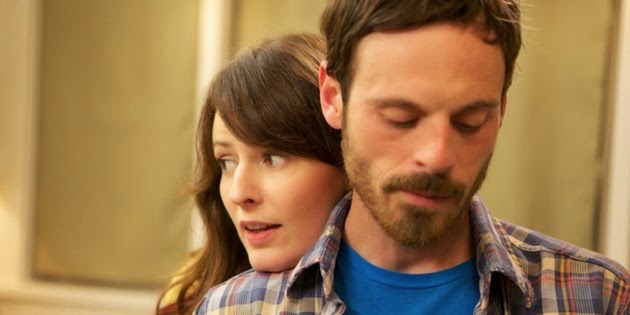 That is, until the prospect of moving in with her boyfriend (Scoot McNairy)—and forming a more intimate, emotional connection—triggers her sudden revulsion to human touch. As this affliction takes its personal and professional toll on Abby, her brother's newfound ability to heal others opens in him an opportunistic appreciation for life's mysteries and a growing desire to connect with others. This unfortunately doesn't include his daughter, Jenny (Ellen Page), whose need for escape remains his largest blind spot. The film could almost be described as a series of awkward conversations between people failing to tell each other their true feelings. But instead of playing as soap opera, the scenes tingle with an intelligence and lighthearted self-awareness that help them avoid melodrama. All the actors, but especially DeWitt and Pais, are adept at providing little touches and expressionistic tics that make them familiar to real life. Some of this is due to the semi-improvised atmosphere fostered by director Shelton. But DeWitt—from the first season of Mad Men up through Shelton's own Your Sister's Sister—has always excelled at bringing an alarming dimension of truthfulness to her characters. Page, meanwhile, seems slightly miscast as Jenny. Despite the actress' longstanding ability to play younger than her age, there's a maturity to her mannerisms that can leave you wondering if she's Paul's wife instead of his daughter. 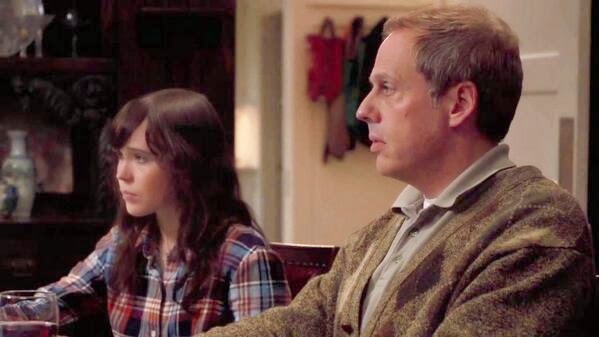 Yet she ultimately brings a real sweetness to the conflicted Jenny while conveying the girl's pent-up pain and frustration, and she shares an easy rapport with McNairy, who perfectly embodies the laid-back Pacific Northwestern dude (he was the photographer in Monsters). Stealing scenes left and right is veteran character actor Allison Janney (and her oversized glasses), as Abby's Reiki therapist and the yin to Paul's emotionally constipated yang. True to its title, Touchy Feely exhibits a particular brand of West Coast woo-woo, where herbal elixirs and the exchange of energy fields are taken for granted. As a Washington resident, Shelton's approach to such a mindset is understandably sympathetic (and remarkably accurate). Furthering the reflective vibe is Vinny Smith's spare score, along with a beautifully sung piece by newcomer Tomo Nakayama. Benjamin Kasulke does his usual fine job behind the camera, his precise, grounded compositions embracing the film's Seattle locations while providing mood-setting views that leave the characters regarding the city simultaneously from within and without. It's that sense of disconnection—and imbalance—that Abby and Paul spend the bulk of the movie trying to correct, turning Touchy Feely into an amusing journey of discovery (and recovery) that, while existing on its own wavelength, pulses with a gentle humanity that's happy to take all who are willing along for the ride. Knowing what Shelton has been able to do with such small premises and casts, I couldn't help but feel a bit disappointed by this. Good review David. I think I was, too. But then I watched it again and was able to get more into the spirit of it. I still prefer Your Sister's Sister--which I'm happy to see is coming online later this month--but this one definitely has its pleasures.